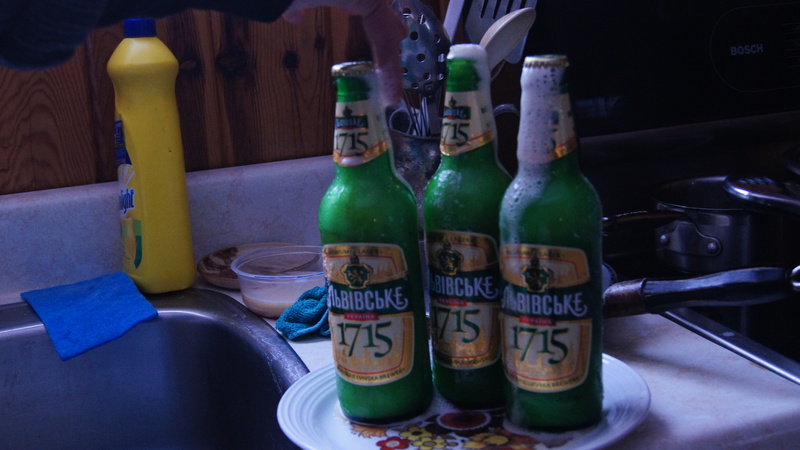 It was very cold outside …where we left them. 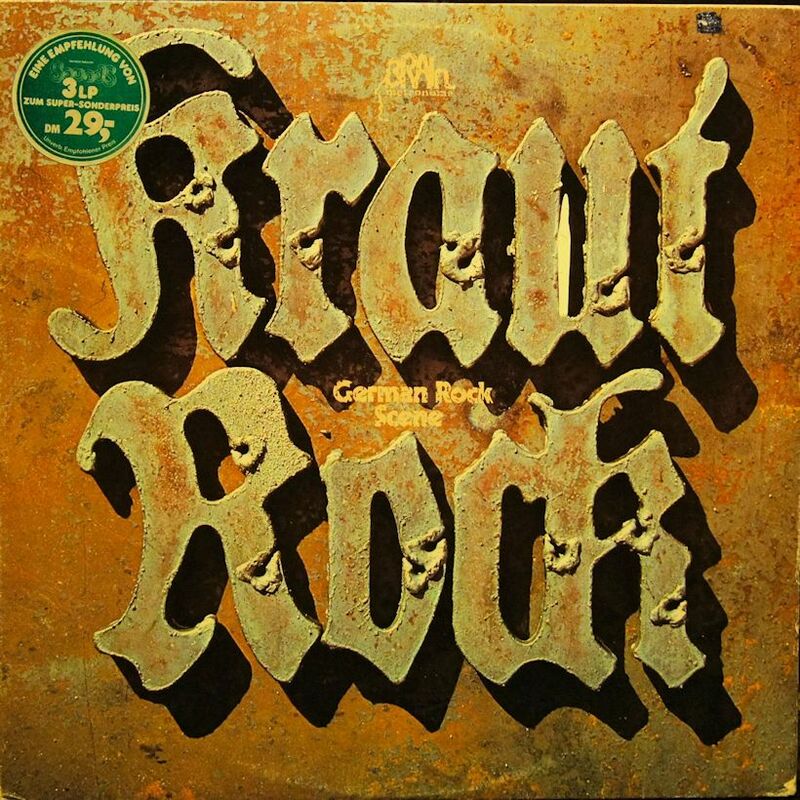 Kraut Rock is a general term for German music – usually from the 1960s, 70s and 80s. That’s a large territory to cover – with some very cool music. This three album compilation is a fantastic overview of some of the great music that was being created in Germany in the early 70s. I picked this album up in Calgary while on a ski trip. How do I know that? The record store insisted on stamping each and every album cover with their address and phone number. Not cool. This is a fantastic compilation and what is interesting is that several bands which are identified with German Music from that period, Tangerine Dream, Ash Ra Temple, are not present on this album. But you do get Neu, Guru Guru, Harmonia, Grobschnitt and a lot more. There is a song from the Scorpions here. The music is varied here – there is a lot of experimental, some electronic, some jazzy stuff and a few straight ahead rock numbers. I am a big fan of the trance inducing passages from Neu, “Hallogallo” and Guru, “der electrolurch”. I could play the first side of the first album all day and every day. I was quite dreading trying this wine. Not only is it under ten bucks it is under nine dollars. It is very close to eight bucks. The first sip did not bring a grimace to my lips but a genuine smile – what a pleasant wine. I has a very prominent body and is definitely not on the light side. The fruit flavours – berries, cherries – is quite pronounced, to the point that after a few glasses this heavy flavour started to irritate me. This is definitely wine that should be consumed with food. (Isn’t that all wine?) The label suggests “grilled meat, chicken or pasta.” That doesn’t leave out much but fish. I would suggest something sharp and spicy – that would give a nice balance to this surprisingly fine wine. I’ve always liked the Monty Python routine were a man sells albatrosses and the other one asks about the flavor of albatrosses. Albatross can also be a metaphor for a psychological burden. I sometimes feel my guitars are such. They hang around my neck and my house – becoming me to abandon everything that I should do and enter the musical world. I do that … but not often enough. So they stare at me silently. 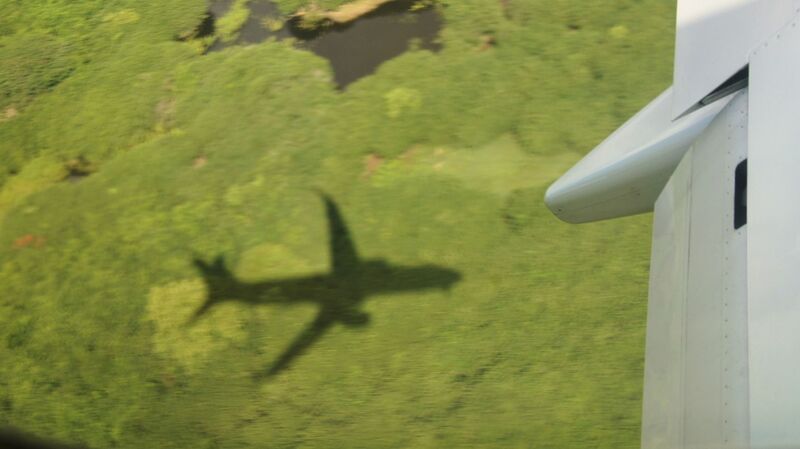 Landing in Cuba – I love the airplane’s shadow on the lush green field. There are a lot of cool things about this album. There is the obvious nostalgia. This is REM’s first big release on a major label, Warner Brothers, and sees them still straddling the world of indie band status and major international rock stars. 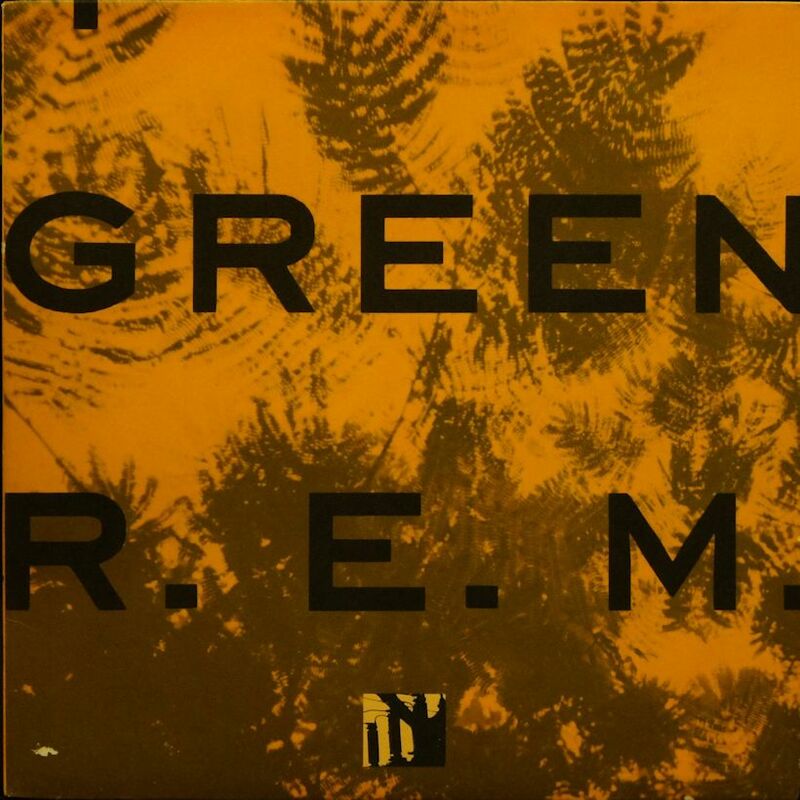 The music and lyrics are the usual mix of REM’s pop and politics melange. It is very cool. What is fascinating is how slow this album seems. Is it me? The album seems slower than I remember. The beat is quite leisurely. I checked to see if the turntable was playing properly. I threw the record on another turntable. The results were the same. Songs like Pop Song 89 and Get up seemed much quicker when I was younger. Stand is particularly slow in my mind. Perhaps I’m listening to too much Dub Step these days and my frame of reference is destroyed. There are lots of great songs here on this album, from slower poignant ones to up tempo danceable tunes – I move slower now, so the leisurely beat is actually quite welcome. For some reason I have forgotten that this wine exists. It conjures up other aptly named wines consumed in my youth – Baby Duck, Moody Blue … There were a few others. Not sure about the others but here I am with the Blue Nun. Funny that the blue bottle does not make the wine appetising. The light colour, looking like diluted apple juice you give to children, does not hold much promise either. What first hits is the sweet. Ah the syrupy sweetness of this concoction washes out any other sensation that your mouth might have had. The aftertaste is a tangy bitter experience. It tastes like apple juice that someone poured a bit of cider into it and then it went a little bad. So you refrigerated it and then served it chilled. What confuses me is that the label states that it is “fresh, crisp & fruity.” It is not fresh or crisp – fruity yes. One out of three is not on a claim is not good. I understand that this wine has been around for eons and is quite popular. It gets bad reviews and is a byword for an ill-tasting wine. I wouldn’t buy it… for even half the price.